Ring of Combat New York | Lou Neglia's Ring of Combat | Next Generation of Mixed Martial Arts! 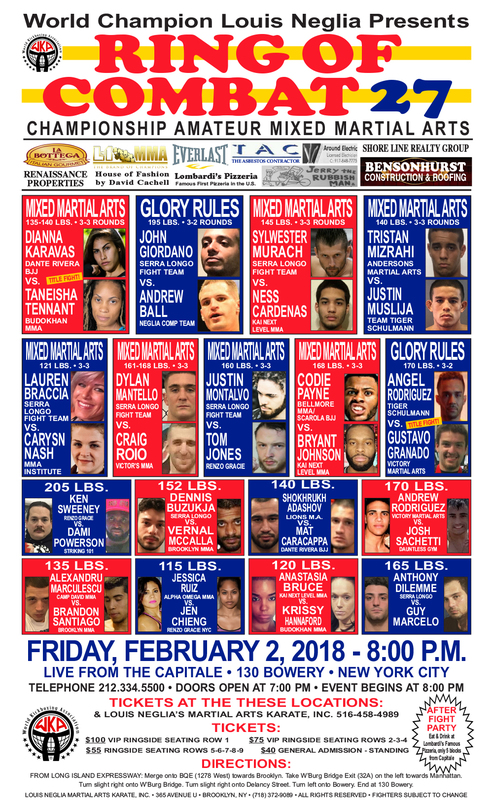 Ring of Combats first MMA event ever in New York takes place Friday, February 2, 2018! It was only a matter of time before New York native, Lou Neglia, brought his internationally recoginzed promotion to the great state of New York This is a completely stacked card full of top east coast amateurs looking to make their mark in the world of mixed martial arts. This is one event you won't want to miss!